Pelican Reef captures the style of furniture exported from Indonesian islands with the Vanessa - Antique Rattan & Wicker Swivel Bar Stool. 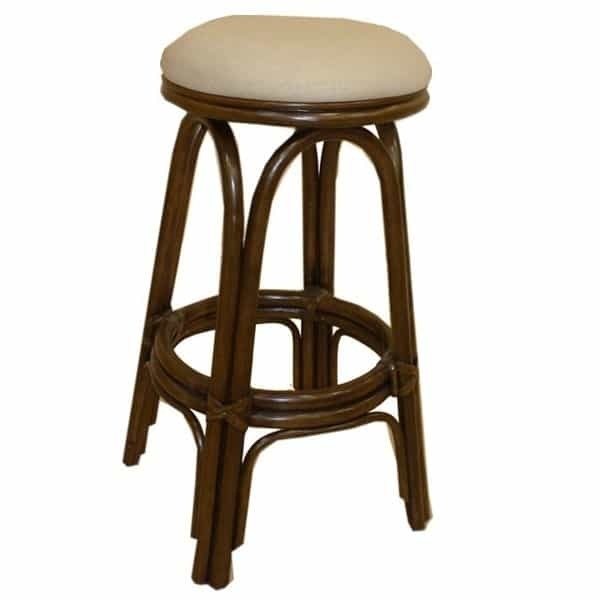 Islands such as Java, Bali and Lombok are centers for the trade of rattan and wicker, and this Bar Stool utilizes these native materials for that classic furniture look. The frame, double stretchers and legs are constructed from strong rattan poles tied together with traditional cords that are not only strong and durable, but add to the overall island theme.